I wonder why that might be, TheHill.com? Could that be ’cause you guys haven’t reported it? Could it be because the Drive-By Media hasn’t reported it either, or has mocked it, or impugned it, or made fun of it — or the chairman himself? Could that possibly be one of the reasons? And, by the way, Hill.com, within certain segments of America and the media, it is a bombshell, and so is the follow-up memo from Chuck Grassley and Lindsey Graham about what’s been going on at the State Department, which we detailed yesterday. But you people have no idea how this memo has been received out there in flyover country; just like you have no idea why Donald Trump’s approval numbers continue to skyrocket; just like you had no idea that the tax cut plan was going to be as effective as it has. “Joyce White Vance, a former United States attorney for the Northern District of Alabama –” look how far they had to go to find a source, said, “I don’t think that it is the bombshell that it was billed as being.” Joyce White Vance, former United States attorney, Northern District of Alabama, with no disrespect to judges, who? This is how far the AP had to go to find someone who would agree with them? Can you imagine the stench of having to actually quote somebody from Alabama, if you’re the AP? Good Lord. It’s bad enough when you occasionally have to go there, but now to have to cite a source from Alabama saying the memo was not the bombshell. Then there’s this line: “Other experts in the field argue that the memo has actually helped the FBI and DOJ.” Of course it does. What could be better for the reputation of the FBI than an unrefuted claim that says the FBI lied to the FISA court in order to spy on a political campaign and that the DOJ signed off on these lies. I have been doing more thinking about this. And I just had some, I don’t know, random questions. And it’s not that they just recently occurred to me. They’ve been floating around inside the deep, dark crevices of my fertile and wonderful mind, and I just decided to try to crystallize them today. I don’t have this in any particular order here. But my first question — and I realize some of this is rhetorical, and I realize that when I verbalize this a lot of you, “Well, Rush, I could tell you that. I would think you would know that.” I understand that some of these questions I do have the answers to, but I still want to provide the service, the effectiveness of asking. For example, why did the FBI believe Christopher Steele? Let’s set this up. As best we know now, the Clinton campaign and Hillary, Sidney Blumenthal, any number of people commissioned this guy to go write this memo. It was an opposition research project, and the objective was to make it look like it was legitimate intelligence that had been gathered, assembled, put together by real spies with credibility. But we have learned the FBI never contacted any of the sources in this memo. So why did they believe Steele? Why did they believe the memo? They had to believe some of it in order to use it as they did. If they didn’t believe any of this and still used it, why — by the way, I have further information, for those of you wondering what’s the recourse with the judge or judges under the premise the FISA court judges were misled and lied to. Okay. So what’s the remedy for this? Well, unfortunately, the remedy involves bringing up the chief justice of the Supreme Court, John Roberts, to testify, which is never gonna happen. Separation of Powers. But he’s the head honcho of the FISA court. 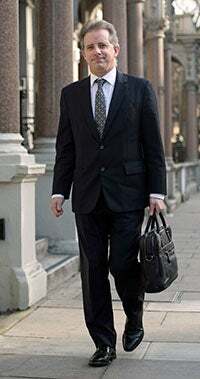 He names the judges, he names the presiding judge, and so any remedy would have to involve him if there is to be an investigation or any other aspect of this. Did the judges know that they were being lied to? Were the judges in on it? Any attempt to answer those questions, I’m told, involves the Supreme Court chief justice, which is unlikely to happen, which means that these will remain questions that are unanswered. So why did they believe Steele? The FBI needed an insurance policy in case the dossier wasn’t 100 percent correct. I think they believed the Steele memo because in their minds in the FBI, Trump was unfit. It was their job to stop him. I don’t think there’s any question that that is what motivated all of this. The FBI long ago decided Hillary Clinton would be the Democrat — well, Barack Obama decided that Hillary Clinton would be the Democrat nominee for president. And Barack Obama exonerated her publicly. Barack Obama said, “She didn’t do anything wrong, she didn’t intend to do anything wrong, and nothing went wrong, so there’s nothing to see here.” That sends a signal: Don’t prosecute the woman. And they didn’t. And on July 5th of 2016, Comey exonerated her. The FBI was acting accordingly. She would not be held responsible for her illegal behavior, her illegal server, trafficking in classified data, over her four years as secretary of state. She was not to be held accountable or responsible for any of that. And so a handful of top people at the FBI had decided it would be in their best interests if Hillary were the next president, because a lot of powerful people above them wanted Hillary to be the next president. “Not a chance! Keep shouting, you rubes. It ain’t happening.” If Trump ends up being elected, there’d be a whole lot of more people in trouble than Hillary, so that couldn’t happen. Hillary had to be protected because Obama had to be protected. After all, Obama had lied about his knowledge of Hillary’s server, and the FBI officials in question were dyed-in-the-wool Democrats. They had the advantage of knowing better than “the deplorables” who were out there shouting, “Lock her up!” So everybody at the top of the FBI knew that Hillary Clinton was getting a pass. Everybody at the top of the FBI knew that there was never, ever gonna be a serious investigation of Hillary Clinton. I think… I’ve tried to look at this from as many different perspectives as I can, from the people involved in it at the FBI, the DOJ, the Obama White House, and then us, the consumers of news dealing with what we are learning day in and day out. While all this is going on, we don’t know that the fix is in. We are gradually becoming suspicious, but we don’t know for certain. Anyway, the Steele dossier gave them an excuse to help dig up better dirt using the FISA court to use either to disqualify Trump or to do great damage if he happened to be elected. Now, I would love to know also the terms of the original agreement for the compilation of the so-called dossier with Fusion GPS and Steele. Meaning: I’d like to know how it happened. Who called who, who discussed money, and who told Fusion GPS and Steele what they wanted? Now, we know this came from Hillary’s campaign and the DNC. What they were really saying is, “We need you to prepare a document that’s gonna make it look like Trump has been colluding with Russia.” I just would like to know how that happens. What were the terms? Because by all appearances, the dossier was compiled simply to smear Trump, as if the task was to take out Trump by any means possible. It wasn’t research; it was slander — easily researched and rejected slander. Like Harry Reid’s slander of Mitt Romney that he hadn’t paid his taxes in 10 years. Like Ted Kennedy’s repeated multiple slanders of Robert Bork. Like the repeated slanders of Clarence Thomas. This was just a continuation of all of that. But how do they order it? What were the terms of the original agreement between Hillary, Fusion GPS, and Steele? And will we ever find any documents related to that. The dossier was not a one-off. It was not a hit-and-run dirty trick. It was as if everything depended on the dossier being used. They had to get it created; then they had to find a way to get it thrown into the mix as intelligence. And that’s where Obama officials and James Comey extended the hand of welcome and said, “Hand it to us! We’ll take care of it. We’ll use it as the basis of an investigation into Trump.” Well, who originally planned for that to happen? Did that just happen on its own, or is this part of some grand scheme all designed to make it look like this is what happens when real intel is being gathered? We know there was no attempt to verify Steele’s information by Fusion or the Clinton campaign. The FBI never made one effort to talk to any of the sources in the dossier. It ended up being used as if it was assembled exactly as directed. For example… Look, this thing is dead wrong. 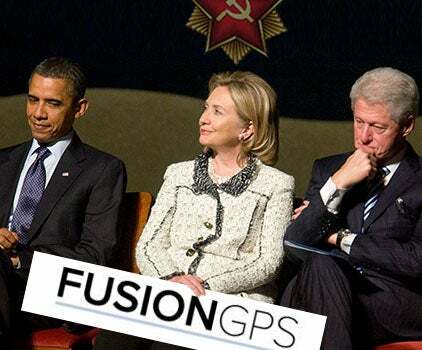 Has Hillary or Fusion sued Steele for giving them bad data? I mean, if you’re looking for… Let’s play this out the way they intended us to consume this. This is an intelligence document. This is the result of real investigation and intelligence-gathering worldwide, some of the finest agents and finest sources, and we’re gonna put this together, and we’re gonna prove that Trump’s been colluding with Russian, and then they are presented with the dossier. And guess what? Not a word in it is true, and you’ve just paid $10 million for it. Wouldn’t you be mad? Wouldn’t you want your money back? I’m playing the game by their rules. I have commissioned an intelligence document. I want the dirt on Trump colluding with Russia, and what I got was that stupid dossier that none of it can be verified. I’ve paid $10 million for this? Where is the anger? Where are the lawsuits at Fusion GPS and Steele for not doing their job? Well, of course there aren’t any lawsuits because Fusion and Steele did their jobs. They produced a phony intelligence document that was nothing more than opposition research right out of the Clinton playbook: Made up. The reason they haven’t been sued, the reason they haven’t been criticized is because they produced exactly what was asked for — and that’s what I would like to see evidence of. Because this is still being realized upon as an intelligence document. There are people still taking this dossier seriously and they’re still considering a legitimate intelligence product. And if it is, then somebody ought to be really mad and somebody ought to be really embarrassed because they paid for an absolute dud! There’s nothing in it that is correct! Why hasn’t Hillary demanded her money back? Why hasn’t she sued Fusion GPS? Steele’s work product was not opposition research. It looks more like something compiled for the express purpose of smearing Clinton’s opponent. There’s no research here at all. RUSH: Okay. For example, here, Hillary Clinton, why is she not outraged at GPS and Christopher Steele for shoddy work? Why aren’t the FISA judges angry over being misled? Why aren’t Obama, James Comey, Loretta Lynch outraged over learning FISA judges were deceived? Why isn’t Obama mad after seeing texts from top FBI officials revealing shocking bias and prejudice? Because there isn’t any outrage because the memorandum or the dossier worked exactly as it was designed! It’s been in existence in the public domain for a year, and it was used as the basis of an investigation into Trump that is still going on with a special counsel over whether or not he tampered with the Russians to affect the outcome of the election. That’s why they’re not angry. If this thing were legitimate as they presented it to us, everybody’d be outraged because it’s such a shoddy piece of work. But they’re not outraged because this thing did exactly what it was intended to do. This is why the Nunes memo is crucially important in exposing all of this.